I first learned about accessing my inner mentor from reading the book Playing Big by Tara Mohr. Upon finishing the book recently, I felt deep ties between Tara’s work and the sense of stillness I feel while taking time to yoni steam. Both offer the kind of tapping into my internal wisdom that is necessary for me to check in with myself before making a change, or when I need extra support and inner guidance. The inner mentor is the experience of tapping into our unique inner guide. An older, wiser version of ourselves. This version of ourselves holds the wisdom and compassion to guide us to the next parts of our journey. Doing this meditation while steaming heightens its potency by connecting with our womb, a place of powerful intuition. In meeting our inner mentor, we have to be willing to be surprised by what we find. She may not be the person we expect. Maybe she lives somewhere tropical, or wintry. Notice with non-judgement the woman who greets you, and what she has to say. This guided visualization supports you when you're wanting to turn inward for guidance. Prefer to listen? Play or download this voice recording of the visualization! Prepare your yoni steam per the directions on the Devi Steam™ Yoni Steaming Herbs packaging. Once you are set up and the space feels comfortable and nourishing, take your seat. Feel the steam rising to meet you. Take a deep inhale, and a long exhale. Repeat the inhaling and exhaling and listen to your breath for a few moments, for as long as you wish to. Bring your attention to your root chakra, or to the base of your body, where your hips and yoni meet. Take a breath. Feel energy rooting from this part of your body, deeply into the earth. You are in this moment, you have arrived. Take a few moments to feel your body. Your forehead, cheeks, ears, chin, your shoulders, arms, chest, core. Your upper back, middle back, and lower back. Down to your hips, thighs, knees and your calves. Finally down to your feet touching the floor. Take a breath. Feel the steam rising up to meet and nourish your yoni. This time is for you. Now take a moment to imagine the purple hue in your third eye. Notice a beam of light that stems from this place, and extends out of your third eye, extending into the world and beyond. You see clearly a pathway that it lays out before you, and you are able to see yourself walking along that pathway, following the light up and out, into the sky safely. As you arrive in the sky, you continue to walk along the path, and find yourself out in the universe. Safely held by the path, you see the stars twinkling around you. As you are enjoying the view, you notice a second beam of light pop up next to yours. This beam of light has downward energy, and it’s inviting you to meet your inner mentor. You walk onto this beam and start to walk back down toward the Earth. As you walk toward the Earth, notice the colors of the Earth growing more and more vibrant. This beam is leading you toward the earth, 20 years into the future. As the path continues, and Earth grows into view, notice that you are starting to head toward the home of your future self. Start to notice, what part of the world are you being led to? What is the climate like? What is the landscape like? As you continue to follow the beam know that it is taking you to the front door of your future self. Take a look around. Notice that as things are coming into view, you see the front door. Approach the front door. As you do this, you see your future self welcoming you inside the door. Take in the presence of your future self. Notice what she is wearing, what she looks like. Then, as you are guided through her home, notice what her space is like. What colors and art are present? What does she display? How do you feel as you enter the space of your future self? As you are welcomed into her home, she guides you to her favorite spot in her home to talk with you. Notice what this room feels like, how you feel as you enter it and sit down with her. She greets you warmly, and offers you something to drink. You two are here together to share a moment, and she is so happy you are there with her. As you sit down with her, ask her what has mattered most to her in the last 20 years. She may answer you in words, or with a feeling or expression. Listen for all forms of her guidance. Ask her, what do I need to know to get from where I am to where you are? Ask her, what will help me to be my true self? Let her answers surprise you. Now, take a moment to ask her any remaining questions you would like her perspective on. If you like, ask her what her true name is. It may be different than her given name, or a name you expect. Listen for her answer, and know you can use this name to call on her at any time. As your time with her is coming to a close, notice that she is excited to leave you with a gift. See the gift clearly as she offers it to you. This gift is yours to take with you back to current time. As she walks you back to the front door, thank her for her wisdom. Leaving her home, notice the beam of light that brought you to her waiting for you outside. When you’re ready, step onto the beam, and begin the journey back into space. Walking contentedly though the clouds and up into the sky, then back out to into space where the stars twinkle at you again. As you arrive back into space, see the original beam of light next to yours, and step onto it. Feel yourself walking back down toward earth, now in present time. See earth growing vibrantly into view. See the continent you are on, and see yourself slowly descending toward your part of the world. Keep following the beam back down, and feel yourself coming now back to your body. Notice your toes and fingers. Notice your breath moving your belly and chest to rise, then fall. Feel the warmth of the steam rising to meet your body. Take a few moments to breathe into your body. You have arrived back into your body with all of the wisdom and gifts from your inner mentor. You can access her at any time. She is here to help support and guide you. Whenever you are ready, rise from the steam, wrap yourself in warm towels, and rest. You may wish to journal to capture what you have learned from your inner mentor, or trust that you now hold her wisdom inside of you. Rest, and enjoy the benefits of the steam and inner guidance as you go forth. 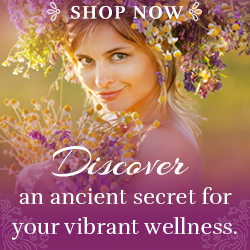 Download a free yoni steam ritual guide and purchase your yoni steaming herbs to get started!